George Hurchalla’s book has been out for over a year, but it’s still worth a look. 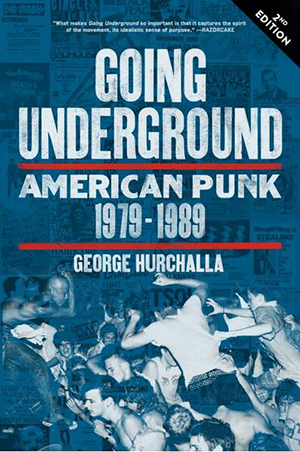 Released on PM Press, the latest edition covers a bygone time in the punk underground scene in various U.S. cities. The description lists oral histories from bands, promoters and zines, unique photos, and flyers among the book’s features. PM Press has the book on paperback and gives the option of throwing in a free e-book version. Check out the other books D.U. has covered. This entry was posted in News and tagged book, going underground, pm press, punk by Editor. Bookmark the permalink.